From its first mention at the beginning of the 7th century up to 1205, being a small city-state Dubrovnik was nominally under Byzantine protection. In the early medieval period, this dominance began to be punctured by with occasional rule by Southern Italian Normans, Venice in 1171 and again by the Normans between 1185-92. The early medieval period saw important developments in the surrounding region of Dubrovnik that would lay the foundations for its future prosperity. In 1050, the Croatian king Stjepan I, ruler of Bosnia and Dalmatia, made a grant of land along the coast which extended the boundaries of Ragusa to Zaton, 16 km north of the original city, giving the Republic control of the abundant supply of fresh water which emerges from a source vauclusienne at the head of the Ombla inlet. 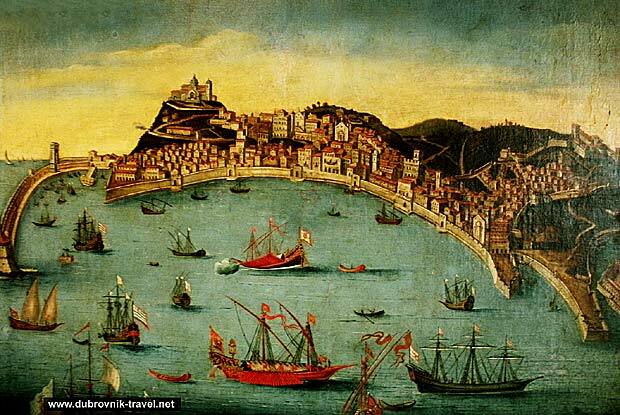 Stephen’s grant also included the harbour of Gruž, which is now the commercial port for Dubrovnik. Meanwhile, another settlement emerged on the mainland, stretching from Zaton in the north to Cavtat in the south.